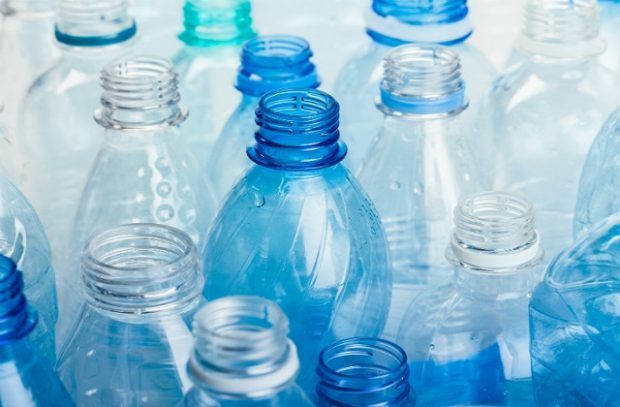 On today's blog we look at recycled plastics being used for sportswear, plans for a sustainable fishing industry, the pension deficits of ten water companies nearly doubling in the last year and Incineration of waste and household recycling. There has been coverage today in the Financial Times of a decision by sportswear brand, Adidas to use only recycled plastic in their products by 2024. During April, the Sun and the Daily Express reported that Adidas were producing Manchester United’s new third kit from reclaimed ocean plastic and each shirt had been made from 28 plastic bottles. Elsewhere in the media, columnist and naturalist Simon Barnes highlighted the importance of taking action against plastic waste in this weekend’s The Sunday Times Magazine. Noting the work of local communities in Scotland to tackle the scourge of plastics in the seas, the piece challenges both the public and government to join the fight against plastic pollution. We welcome Adidas’ decision and through our 25 Year Environment plan we want to help companies become plastic free. The government is putting in place the ambitions to encourage all of us to play our part in ending the scourge of plastic waste in our natural environment. Government has recently announced a range of measures to eliminate all avoidable plastic waste including a world-leading ban microbeads and proposals to extend the 5p plastic bag charge. Earlier this year the government also announced its intention to ban the sale of plastic straws, plastic-stemmed cotton buds, and stirrers, and launched a call for evidence on using the tax system or charges to address single-use plastic waste. The government also is committed to the conservation of the UK’s waters and have been consulting on 41 new Marine Conservation Zones (MCZ), due to conclude this Friday. This third tranche of MCZs will help protect areas of sea from damaging activities and will bring the total area protected to 220,000 sq km, or two-fifths of the country’s coastline. 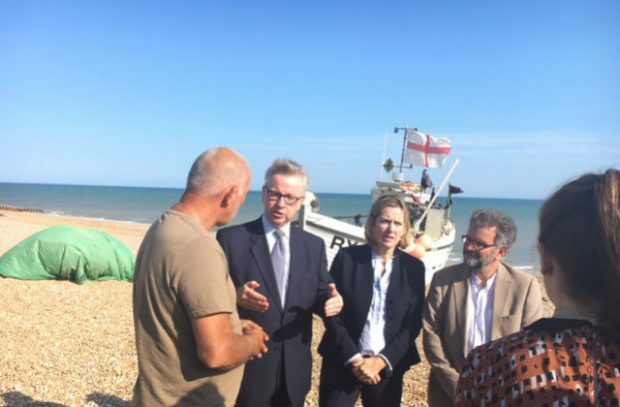 Environment Secretary Michael met members of Hastings’ fishing community alongside local MP Amber Rudd last Friday to discuss key issues affecting them and the wider UK fishing industry. During a private meeting in the town’s market hall, the group touched on issues including fairer allocation of quotas and the future of fisheries outside of the EU. Positive coverage in the Hastings Observer, Hastings in Focus and BBC South East Today reported the commitments given by the Environment Secretary to local fishermen. Earlier this month the government set out its blueprint for a sustainable and profitable fishing industry in its fisheries white paper ‘Sustainable Fisheries for Future Generations’. A consultation on the white paper will run until 12 September. Analysis undertaken by The Sunday Times has shown that the pension deficits of ten water companies have nearly doubled in the last year. After examining the retirement funds of 10 water companies, including Thames Water and Severn Trent, the paper found that by March 2017 the combined deficit had risen to £1.9bn. While over the same period, the total liabilities – the value of retirement benefits they’re committed to pay – grew by 24% to £14.4bn. The article references that Environment Secretary Michael Gove has already accused some of the industry’s giants of “playing the system” by funnelling generous payouts to their owners while charging customers excessively and failing to address leaks and pollution problems properly. Far too often, there is evidence that water companies have not been acting sufficiently in the public interest. The £18.1bn paid out in dividends was almost all of the profit made by water companies after tax – the total profit was £18.8bn over the same period. Boards need to take account of employee interests and protect employee pension schemes properly and urgently. The Guardian has reported that incineration of waste is increasing and the household recycling rate has stalled, following a report by the Green Party. This is not true – the household recycling rate continues to increase, and more waste is being recycled than incinerated. Although the amount of waste that is incinerated has gone up, this is waste which would have previously gone to landfill, not waste that would have been recycled, meaning a far greater proportion of our waste is now managed either through recycling or energy-from-waste incineration. We have made great progress in boosting householdrecycling rates, which have increased from 11% to over 45% between 2000 and 2016. More waste is being recycled than incinerated, and less waste is being sent to landfill. Our 25 year plan for the environment set out our commitment to leave the environment in a better state than we inherited it, and we’ll be setting out more detail on how we further increase our recycling rates in our forthcoming Resources and Waste Strategy. Defra supports the waste hierarchy whereby prevention, re-use and recycling should always be prioritised. However, not everything can be recycled and recovering energy from waste is environmentally preferable to landfill. Government sets national waste policy and it is for each local authority to set their priorities for reducing waste and increasing recycling at local level, taking into account local conditions and circumstances to make the best decisions for their local residents.